To live long, it is necessary to stay healthy and fit always, and for this, it is important to do regular exercises. But, while performing exercises, most of us avoid monitoring our heart rate, which is again very important. A proper monitoring of the heart rate helps us to maintain a perfect balance between our intensity of effort and the physiological adaptation of the body. 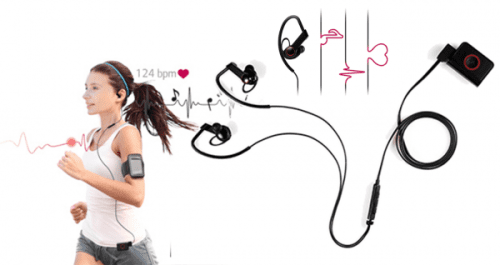 To monitor heart rate precisely and easily, there are various heart rate monitors available in the market; but among all, Earbud Heart Rate Monitors are smarter and much more effective. 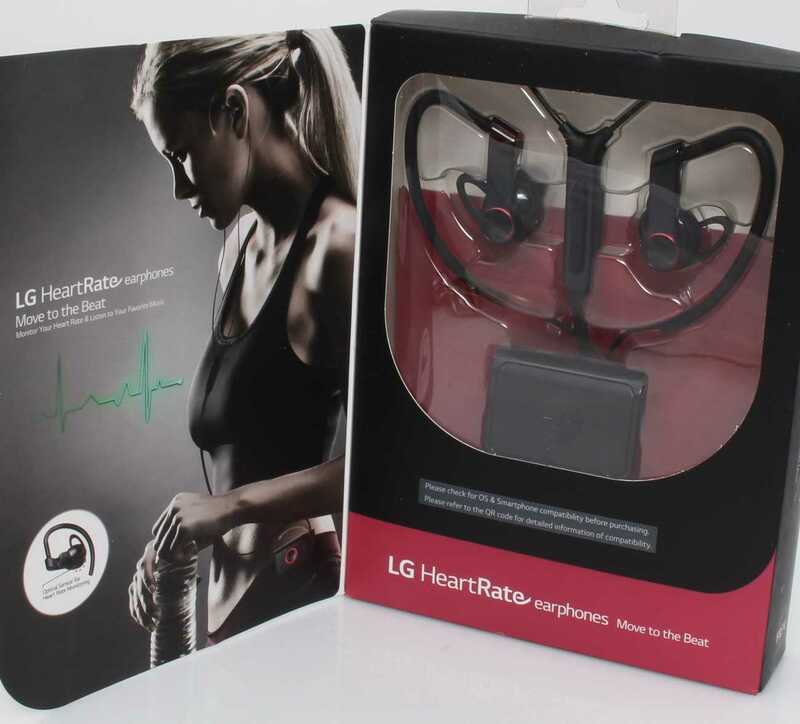 These earbud heart rate monitors serve 2 purposes: firstly, they are useful in tracking the reaction of your body during your workout routine, and secondly, they can be used to listen to and enjoy music while exercising. 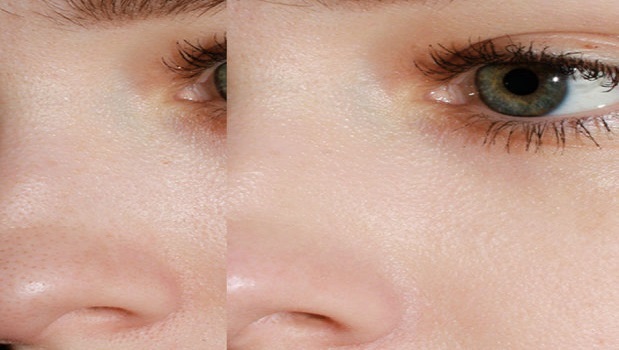 Additional to this, they are also helpful in providing information about your heart, like active heartbeat and abnormalities in resting time, so as to keep you protected. Here are some of the best designed and quality performing earbud heart rate monitors. These wireless sports earbuds come with in-ear heart rate monitor, which is rightly designed for running. 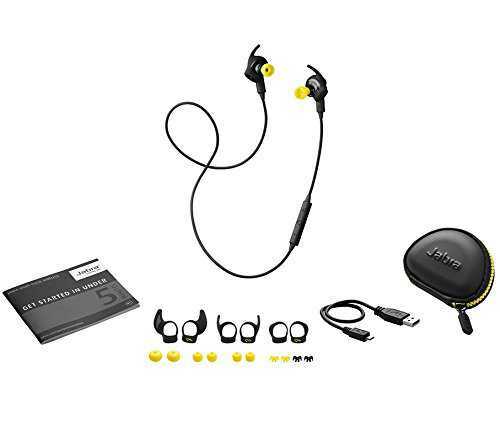 They are designed to work with Jabra fitness app to precisely record, evaluate and plan your workouts. 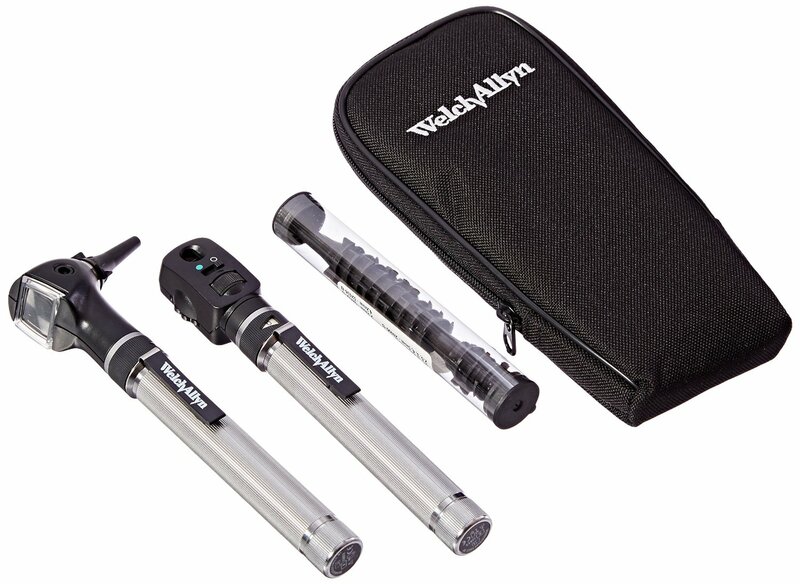 Capable of effectively monitoring your heartbeat through inner ear, and deliver clinical-grade accuracy. They are resistant to shock, rain, dust and sand. Allows you to control music playback, take calls and manage volume with just a simple tap on earbuds. Comes with a lithium battery and has 25 feet of average Bluetooth range. Battery works only for 5 hours on a one-time charge. These uniquely yet stylishly designed earbuds come integrated with optical heart rate monitor to read your heart rate during the workouts. They are resistant to water and sweat. They are not battery operated, so do required charging. Comes with different earbud sizes to your extreme comfort. Compatible with all major fitness apps on Windows, Android and iOS devices. Sound quality is superb with 12mm drivers. Comes with a built-in microphone to make calls. They cannot be used as Bluetooth earbuds, and require to be plugged into a device to function. Do not have any volume control function. These smartly designed earbuds not only effectively monitors your heart rate but also measures other fitness details. They securely fit in your ears and provide utmost comfort. Come with an infrared sensor and works on biometric sensor technology to give you details about how your body is affected by the workout sessions. These earbuds give you the ability to connect them wirelessly to smart devices to listen to the music, control volume and make or attend calls. Work perfectly well with iRiver On Smartphone app. Earbuds are attached to neckpiece, so they can hinder some of the exercises or make some exercises difficult. These chic and modish earbuds track your maximum oxygen consumption and metabolic rate while simultaneously allowing you to listen to your favorite songs. They feature a clip-on medallion for transmitting fitness data through Bluetooth. Come in different sizes for your comfort fitting. Compatible with LG fitness apps, downloaded on iOS 6 system or higher or an Android 4.3 system or higher. Feature aptX technology for high-quality sound. Comes with a built-in microphone to control music, volume and answer calls. They have short battery life. 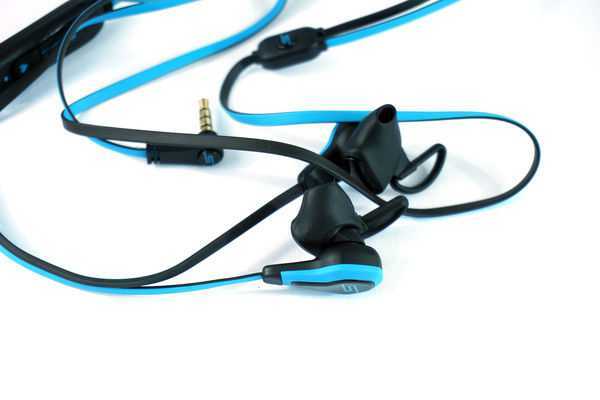 These earbuds are Bluetooth enabled; thus, allows you to listen to music without annoying cords or wires. They are also capable of monitoring your heart rate and tracking your fitness level during your workouts. Resistant to water, sweat and dust. They provide comfort and highly secure fit in your ears. 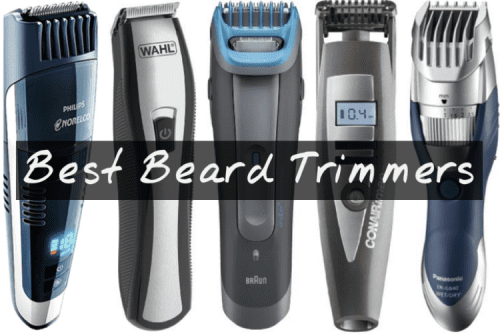 Compatible with Bluetooth 4.0 or higher, and Android and iOS devices. They come with 16MB flash memory and 64MB external memory. They do not come with different sizes of ear buds for apt fit. 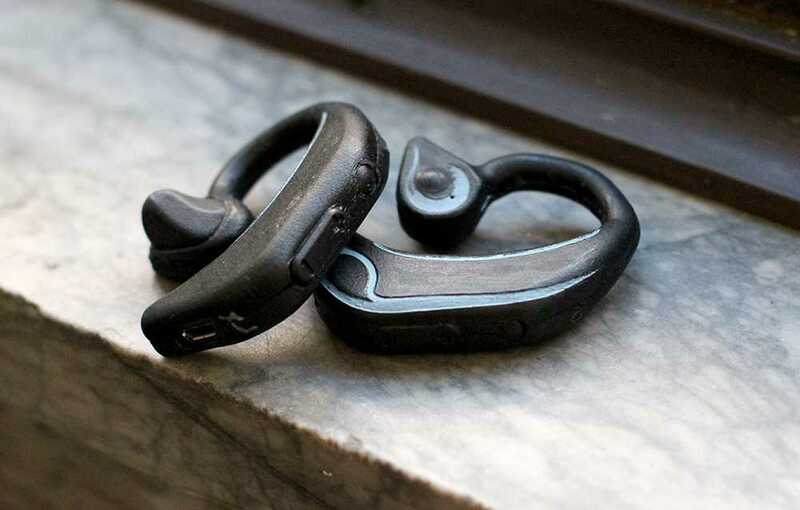 These wireless earbuds from Bragi come with various sensors to let you effectually monitor your heart beat and measure other fitness levels. These earbuds come integrated with their own media player. They come with 4GB storage capacity. They use Bluetooth connectivity to let you connect to your music apps, answer to calls and even listen to messages. These sports earbuds are perfect to be used for all types of exercises. They have short battery life i.e. only up to 3.5 hours. These earbuds are running-focused and come inbuilt with 6 sensors that include heart rate sensor, GPS, compass, gyroscope, barometer, and accelerometer. These earbuds come wrapped in stylish in-ear design. These earbuds are waterproof in nature and are compatible with iOS and Android devices. They come with built-in 16GB storage for your music. Come with voice guidance and automatic music selection and playback feature. They are capable of keeping 11 types of running logs in the graphical display. The neckband is too small for comfort fit. This innovatively designed wireless sports earbuds deliver premium quality sound and are extremely comfortable to wear. These earbuds are resistant to sweat. 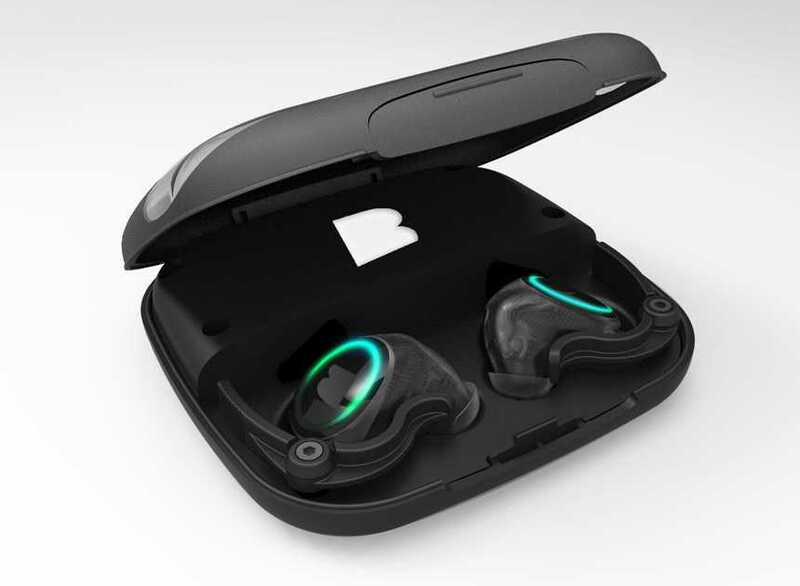 They come with an in-ear biometric sensor for measuring heart rate. 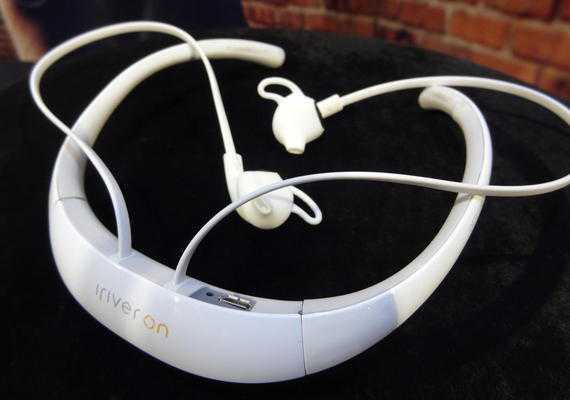 They come with adaptive noise canceling technology to reduce external noise to a great extent (almost completely). 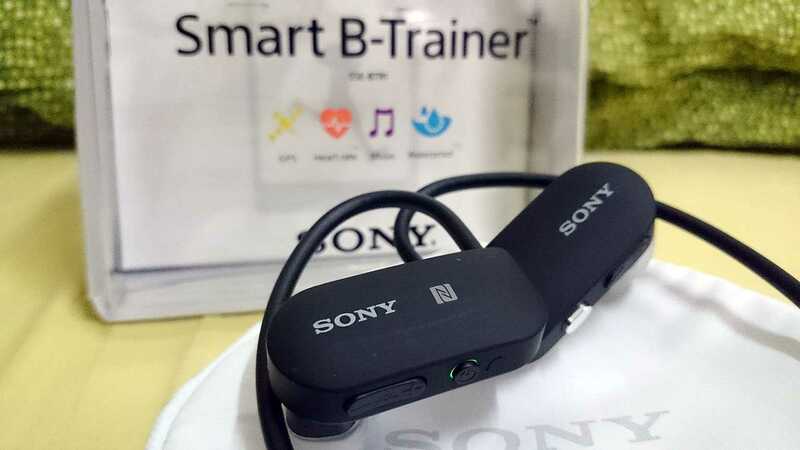 Come with Street Mode for capturing sound, which helps users while running or jogging. Feature powerful DSP (Digital Sound Processor) for top-quality sound effects while listening to music. Comes integrated with various sports app. These athlete-approved, wire-free earphones work as heart rate and fitness monitoring device and is perfect for fitness enthusiasts. Offer snug and comfort fit. Resistant to water, dust and sweat. Connect easily with a phone or Bluetooth music player. They successfully access phone calls, calendars, and messages through voice commands. Supports easy to use apps. They are pretty much expensive. These in the ear fitness tracker and heart rate monitor helps in measuring your heart rate with built-in sensors. Compatible with smartphones, tablets and computer for viewing and analyzing data. Comes with Led indicators, and is resistant to sweat and water. Support an app for user guidance for deep relaxation. Supports Bluetooth connectivity and works on rechargeable battery. Has 3-axis accelerometer for measuring movement and head motion. It does not work with weight training. With the help of these uniquely designed, comfortable to wear and feature-packed earbuds, you can not only listen to music but can also effectively and accurately monitor your heart rate and other fitness details during a workout.